BIRTAN Job Circular 2017 has been found my website. Bangladesh Institute of Research and Training on Applied Nutrition (BIRTAN) published a job circular. BIRTAN is very attractive job circular published the Bangladesh Institute of Research and Training on Applied Nutrition (BIRTAN). 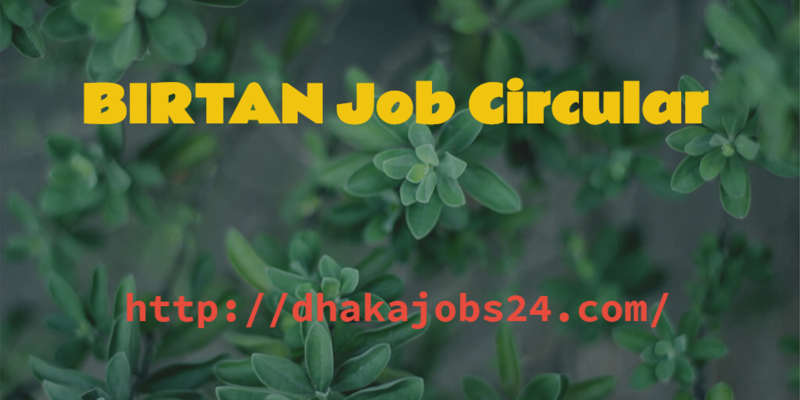 Also Bangladesh Institute of Research and Training on Applied Nutrition (BIRTAN) Job Circular has been found my popular job related portal website https://dhakajobs24.com/. Bangladesh Institute of Research and Training on Applied Nutrition (BIRTAN) is now very dependable Government service team in Bangladesh. Bangladesh Institute of Research and Training on Applied Nutrition (BIRTAN) Job Circular 2017 related all update information found my website. ■ Job Description: This job position is experience, talented for further review and selection purpose. BIRTAN Job Circular 2017. BIRTAN Job Circular 2017 has been found my website. Bangladesh Institute of Research and Training on Applied Nutrition (BIRTAN) published a job circular. BIRTAN Job Circular 2017 job apply online starts 26th December, 2016 and continue up to 15th January, 2017. Bangladesh Institute of Research and Training on Applied Nutrition (BIRTAN) published a job circular are as follows Principal Scientific Officer, Chief Scientific Officer, Principal, Senior Scientific Officer, Programmer, Scientific Officer, Assistant Programmer, Public Relation Officer, Sub Assistant Engineer (Civil), Sub Assistant Engineer (Electrical). BIRTAN Job Circular 2017.